Home // Blog // Now on BrightLocker! Now with the success of our Kickstarter behind us, we look ahead now toward a bright and wonderful future of our development. And what better place to build our bright future than with BrightLocker? 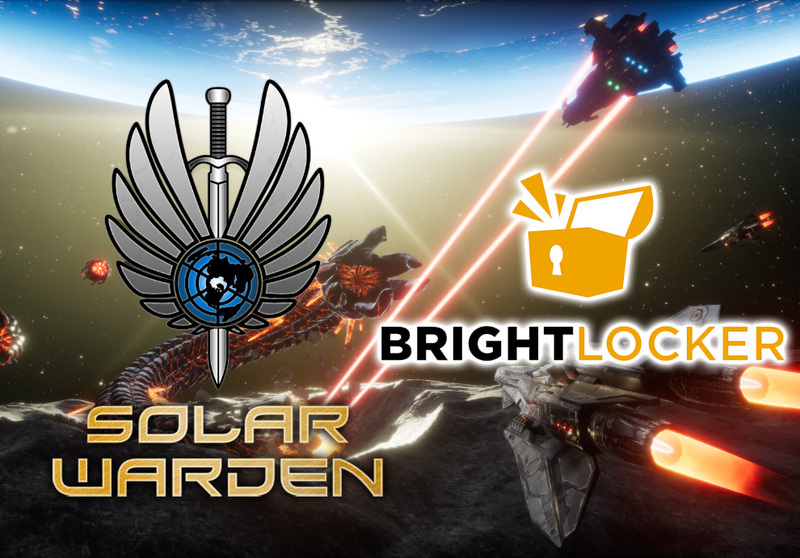 We are excited to announce that we have partnered with BrightLocker to continue sharing with you all of our development updates and additions to Solar Warden! With BrightLocker, we now have the abilities to go beyond Kickstarter and have YOU help drive the development of the game more directly by interacting with us more closing with development chats and voting for what you’d like to see in game while also unlocking additional packages and perks that you may have missed during our Kickstarter Campaign! Not only will you be able to gain access to our Alpha/Betas in the near future, you will also be able to unlock special and UNIQUE REWARDS (Ship Skins, Special cosmetics, Special in game weaponry, etc.) that will be available during limited times during our different stages of Game Development before Solar Warden is fully released! NOTE: Exclusive Kickstarter Rewards will remain exclusive to those who pledged to our Kickstarter, so you will NOT lose value on those! Further more, we know a few of you may have missed out on the Kickstarter Campaign and pledging before the closing time, or you are looking at contributing more to aid us in the project to perhaps help us look at funding us toward our missed stretch goals. Now with BrightLocker, we are able to continue toward building out more of Solar Warden! With your help, we can move forward with reaching those stretch goals! And for those who have had issues with Kickstarter not accepting Paypal, that is no longer the case with BrightLocker! Sign up today and get your Pre-Order + Alpha access with your Paypal so you don’t miss out on our Alpha debut shortly after PAX Prime August 31st! 0 Comments ON " Now on BrightLocker! "